I have witnessed numerous people who almost give up on their lives when they see a dark room. A mere thought of darkness turns their blood cold and their brain cells seem to freeze simultaneously. There are also queues of people in our surroundings who feel the adrenaline rush inside their bodies when they go to elevated regions or an area abundant with glossy webs and tiny spiders. What is the thing which stymies them from reaching out to vicinities that appear so normal and adventurous to the rest of mankind? Well, the science of the mind has enough answers for such a handful of questions! One such verity is summed up in a word called ‘Phobia’. 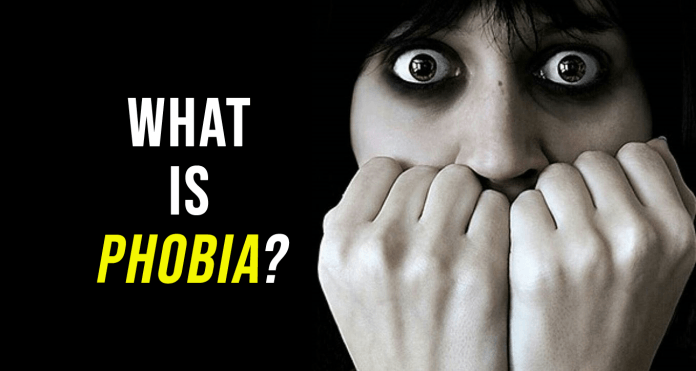 Let’s find out what is a phobia? Fear and anxiety are two terms that are quite identical with a bigger term called ‘phobia.’ The most widely accepted definition of phobia states it as a “kind of anxiety disorder that manifests itself best in the form of an excessive fear to a particular object or situation.” Now, since there is usually a time period that is attached to a disease to justify its real occurrence, the time span of more than 6 months is enough to label a certain fear as a phobia. Moreover, if you see a person struggling with trepidation and moving heaven and earth to avoid a specific item or circumstance, then he or she is phobic. While the world of phobias has always been a subject of interest and mystery for the people and psychologists themselves, the comprehensible categories of phobias recognized by the American Psychiatric Association provides an air of relief. Accordingly, the organization identifies three main types of phobias:- Specific Phobias(with subcategories), Social Phobia, and Agoraphobia. This is a much broader category of phobias. This is primarily due to the fact that specific phobias arise from distinctive environments, peculiar situations, organisms of all shapes and sizes, etc. The widely known specific phobias generally center around spiders, heights, and snakes. However, the subcategories are mammoth and some well-accepted ones have been mentioned down here. Claustrophobia – the fear of stuffy places. Driving Phobia – the fear of driving vehicles. Erythrophobia – the fear of blushing. Emetophobia – the fear of vomiting. Zoophobia – the fear of dangerous animals. Arachnophobia – the fear of spiders and similar arachnids. Hypochondria – the fear of falling ill. Tunnel Phobia – the fear of being inside a tunnel. Blood, injury, and injection (BII) Phobia – the fear that results from looking at blood, injury or an injection. Glossophobia – the fear of speaking amidst the public. Escalaphobia – the fear of being in escalators. Dentophobia – the fear of visiting dentists. Cynophobia – the fear of dogs. Aviophobia – the fear of flights. The scenarios of acute anxiety are visible in the cases of people stricken with the social phobia. Whilst, there may be people who encounter nervousness during public speaking or when they go out to a new place, but a social phobic tends to respond to such situations with altogether a different approach. They may think of all the negative consequences like being criticized, misjudged, and misunderstood following their speech or interaction. This depresses them and puts them in a corner away from their social life. Social interactions that can range from small talk with a passerby to a long conversation with a friend. Situations that demand active participation like poetry speaking competition or a dancing activity. This is a class of phobia that causes people to avoid open travels outside their homes. They fear to be alone in a public place, shopping mall, bus stop, etc. and may suffer panic attacks. The panic attacks are a resultant of the thought that causes them to believe that their escape is impossible. An estimated 1.7% people are supposed to be affected by Agoraphobia and in this, an early onset at the age of around to 10 to 17 years has been confirmed. When we discuss a disease whether it is related to physiology or psychiatry of a human being, we tend to focus on the underlying causes to invent paths to battle against it. As far as phobias are concerned, the factors are not one but many. Multiple factors and no single cause is what has been fascinating the researchers so far. For an improved idea about this topic, I have shared with you some essentially grasped causes that if understood can actually help control phobias for the better. Some tragic event that took place in the life of a person that left him in a traumatic state with a phobia. Genetics can be another reason as some people are more anxious than the others by birth. Phobia can also be a kind of learned response to certain things that an individual gained from someone close to him. Phobias are nothing, but the fears created by the bewildering human mind which are formally welcomed by the human body. The way the body accepts and reacts to these phobias, in turn, correlates with the observable symptoms. Although there are also psychological symptoms, their severity can vary from person to person just like the physical symptoms. 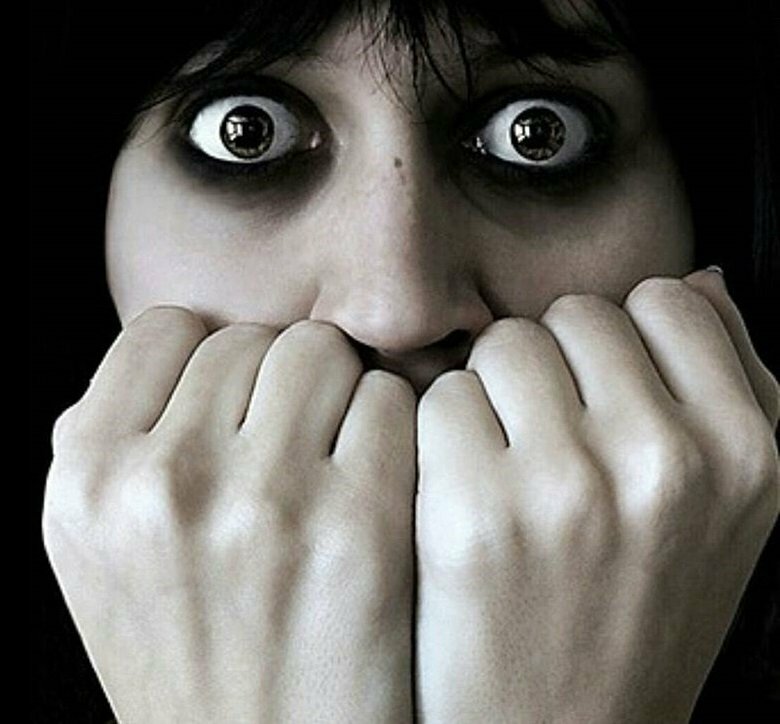 Since phobias are of various types, their treatments also depend on the extremity of the condition and the person bearing its effect. In modern times, many treatments have really relieved the sufferers. Flooding is a definite type of exposure treatment in which a person facing phobia is made to confront his object of anxiety. It is ensured that he is exposed to the item for a substantial amount of time so that he realizes that it is not going to torment him at all. Counter conditioning is also a brilliant way to tackle the phobia of a person. It is generally given to those patients who are unable to carry the burden of exposure treatment. This method emerges as something more relaxing because the patient is taught to do away with his fear by practicing composure techniques that serve to counterfeit all laws of fear. Then, there are also drugs for prisoners of social phobia. A small amount of benzodiazepine or an antidepressant-like SSRI seems to go well for the social phobia when complemented with a remedial treatment called cognitive-behavioral therapy. “The fear is not as mighty as the will power to defeat it.” With as many as 19.2 million American citizens suffering from the rage of phobias, you know that you are not alone in limiting the occurrence of phobias. Early predictions and methodical care can relief you and your closed ones from the life eating grip of phobias. After all, when we do not let our fears overtake us, we do feel empowered and resilient. Next articleHow Introverts Stand Out From the Rest of the League?